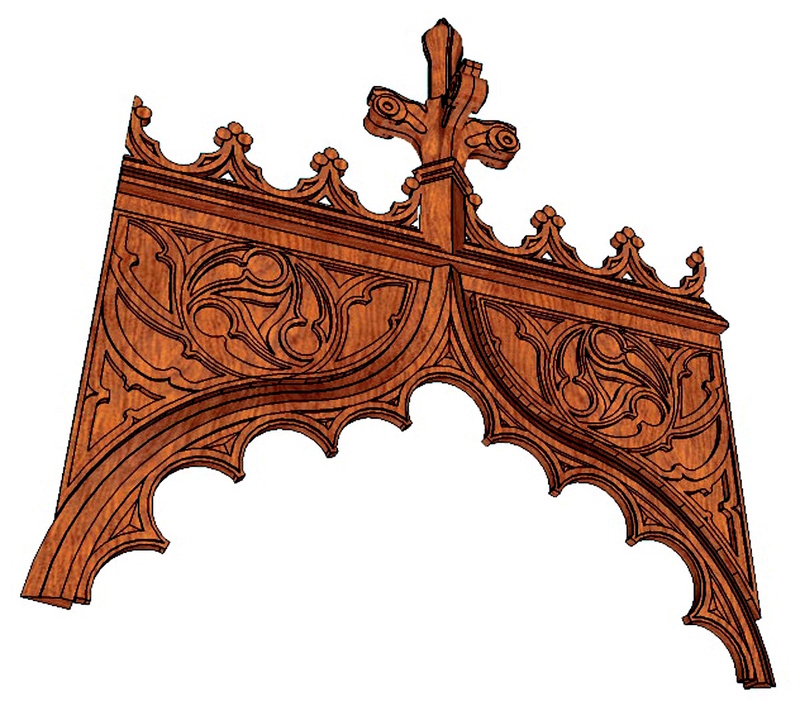 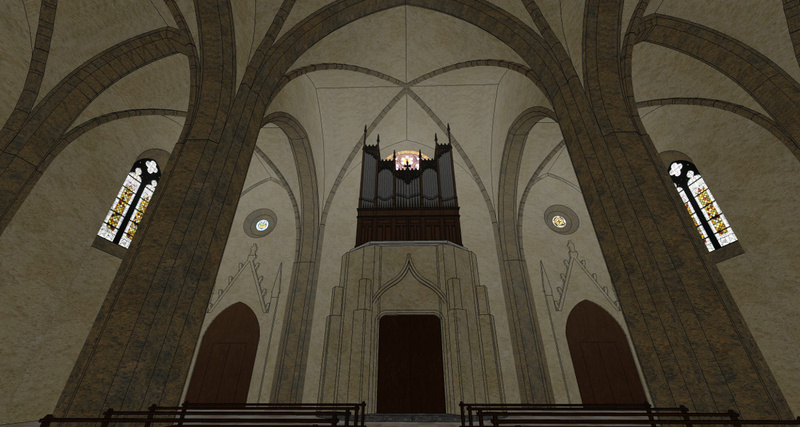 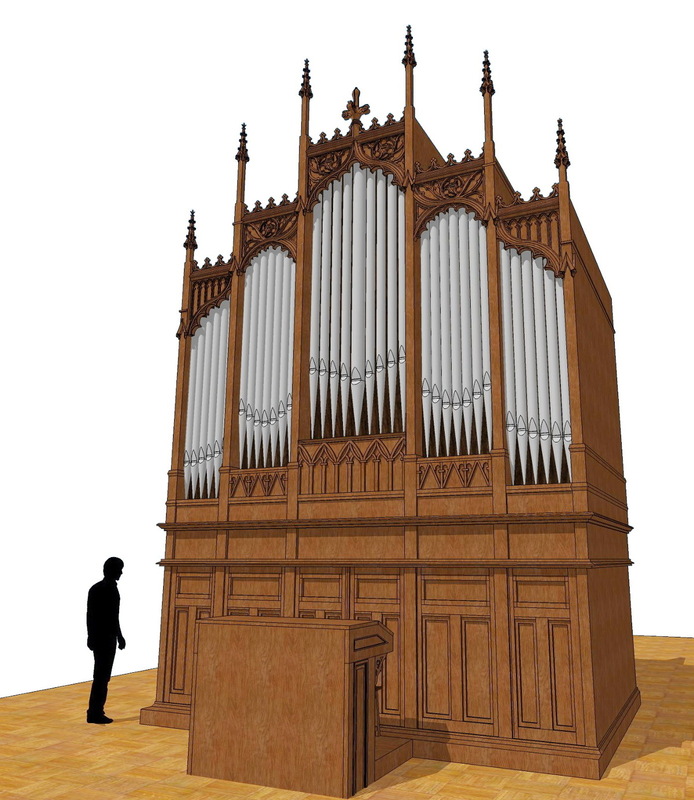 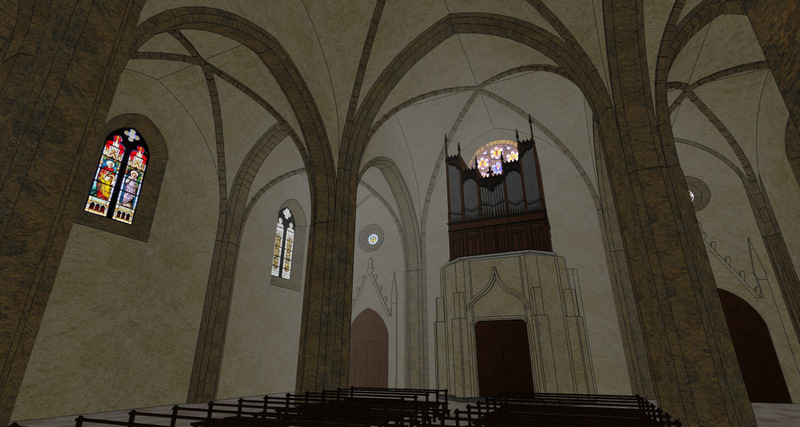 Modelling in Sketchup of the Merklin organ of St-Laurent church in Le Puy en Velay, France (43). 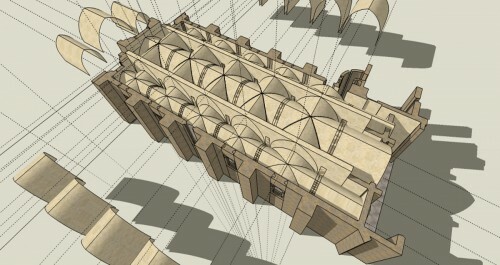 This model has been produced mostly thanks to photographs, not plans. 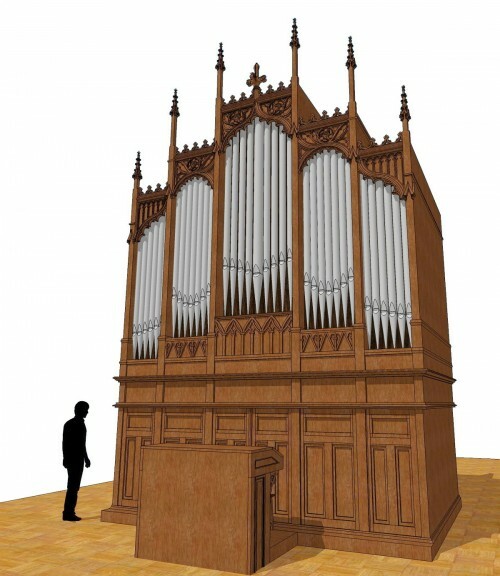 This reconstruction work is part of the project of organization Unda Maris, aimed at rebuilding this old organ, dismantled for decades. 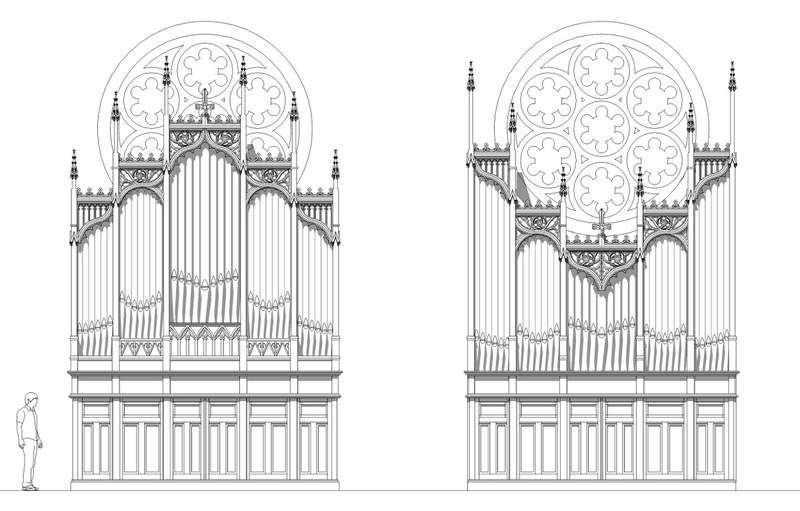 The 3D work allows to see the organ in his original setting, and also recombined for the new of the church. 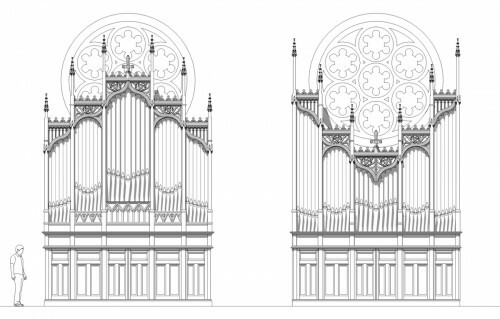 These images have been projected in the church itself during organ concerts (with a temporary electronic organ).